President Nana Addo Dankwa Akufo-Addo has congratulated the Coach of the Senior National Team, the Black Stars, Kwasi Appiah and the entire team for their victory against Kenya in the AFCON qualifying games. He is excited that the Black Stars are currently topping their AFCON qualifying group, a feat the team attained after walloping Kenya with a lone goal in their group encounter yesterday, Saturday, March 23 2019. 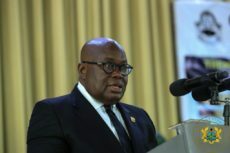 The president described the Ghana-Kenya encounter as phase 1 of the project, and that the phase 2 will be to win the AFCON tournament in Egypt. “Warm congratulations to the players, Coach Kwasi Appiah and his technical team, and the management team of the senior national football team, the Black Stars, on Saturday’s victory over Kenya. Phase 1 of the project, i.e. topping their AFCON qualifying group, has been realised. Now on to phase 2, that is winning the next AFCON tournament in Egypt. I am confident we can make it, if we work at it. 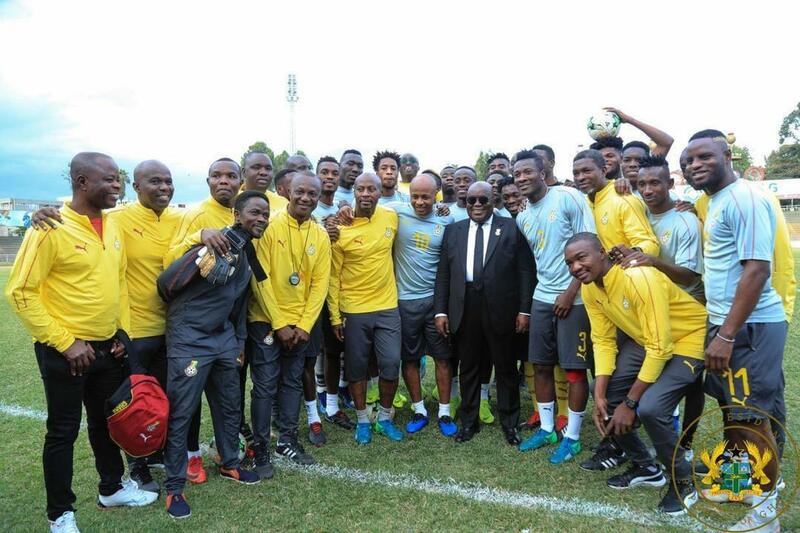 God bless the Black Stars’’ the president wrote on his Facebook Wall.